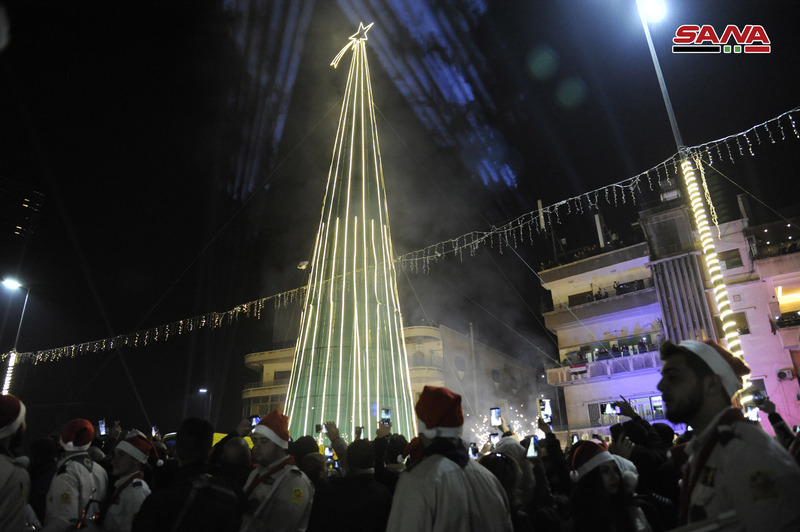 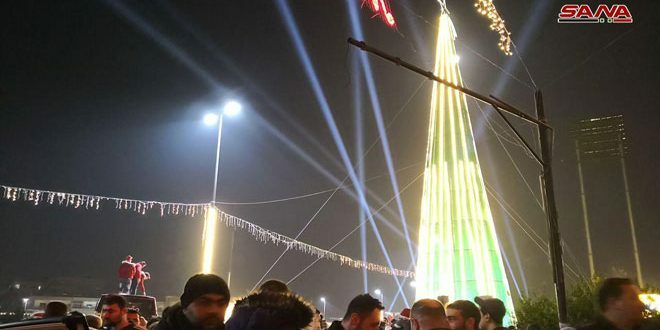 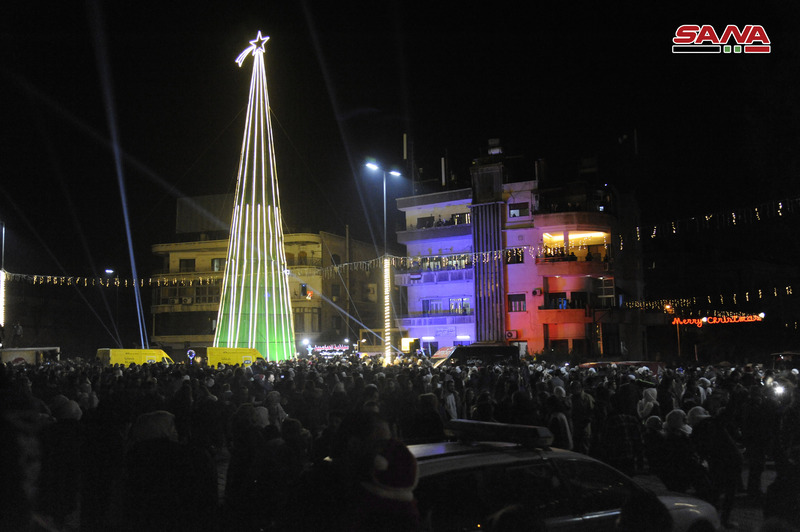 Damascus, SANA – The biggest Christmas tree in Damascus, standing 30 meters tall, was lit up on Saturday evening at Abbasiyyin Square, as part of a festivity organized by Action Project to celebrate Christmas and the New Year. 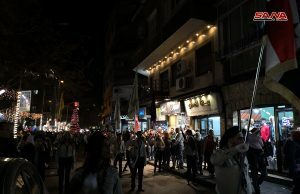 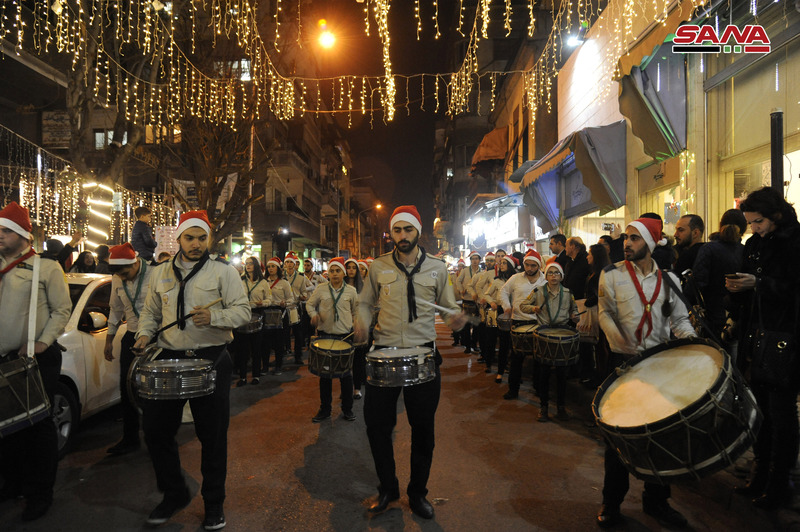 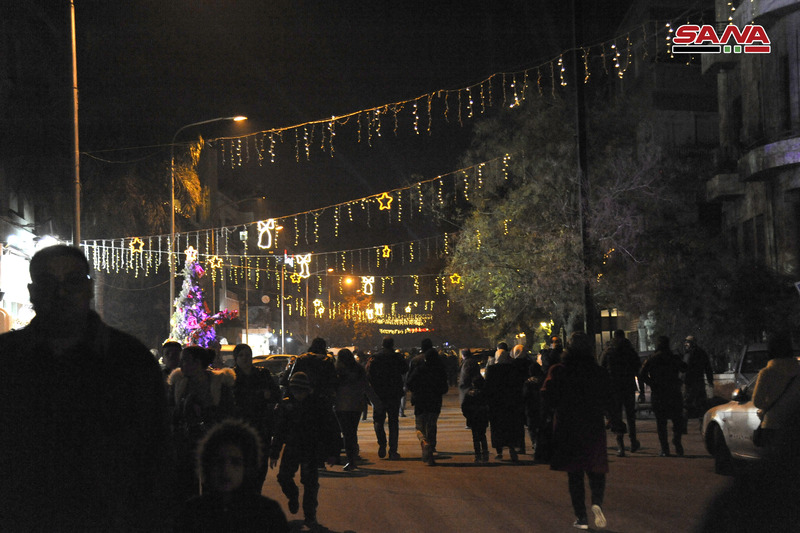 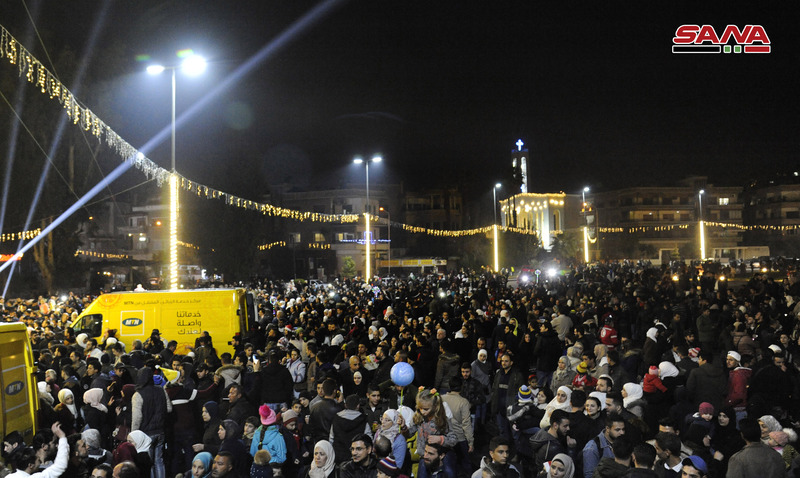 The festivity included a Christmas parade starting from Bab Touma Square, passing through al-Qasa’a neighborhood, and ending at Abbasiyyin Square, featuring Christmas tunes and songs by the Action Project’s scouts troupe, and handing gifts to children and passersby by volunteers dressed as Santa Claus. 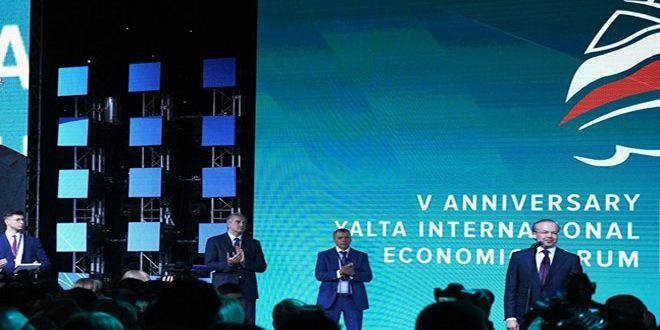 Action Project’s manager Rein al-Maila told SANA that the event seeks to revive Syria’s holidays after the defeat of terrorism and create an atmosphere of happiness, in addition to sending a message to the world saying that Syria is recovering, and happiness and joy will return to it. 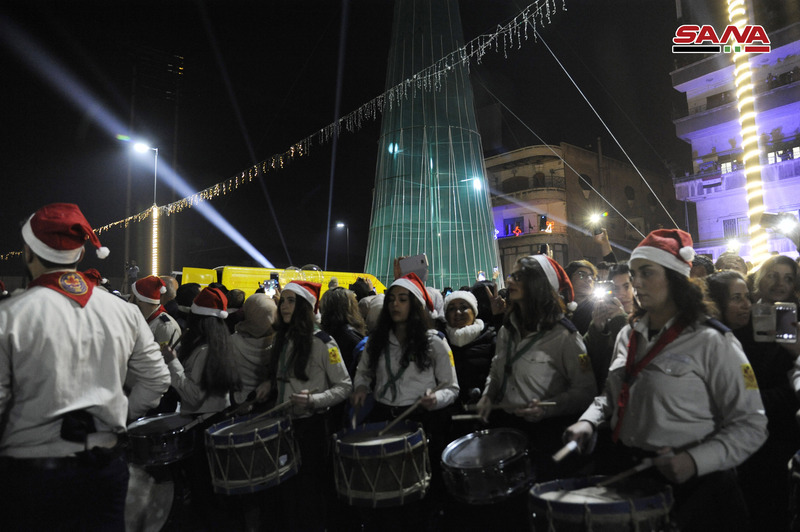 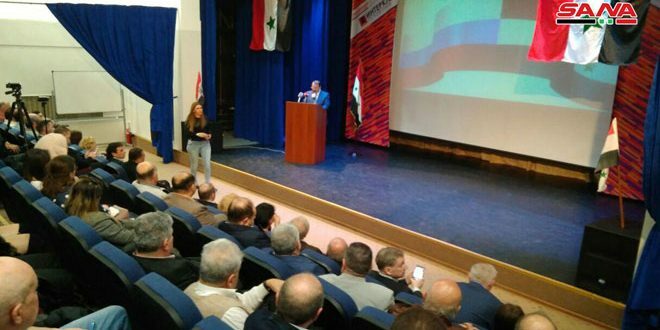 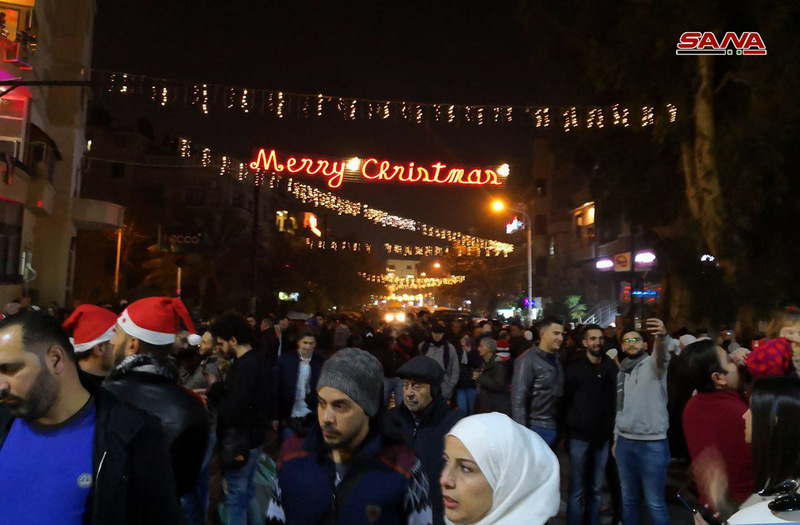 She noted that the decision to hold the event at Abbasiyyin Square was made because it was one of the areas that was most targeted by terrorist attacks, and now it is decked in Christmas colors and decorations thanks to the sacrifices of the Syrian Arab Army. 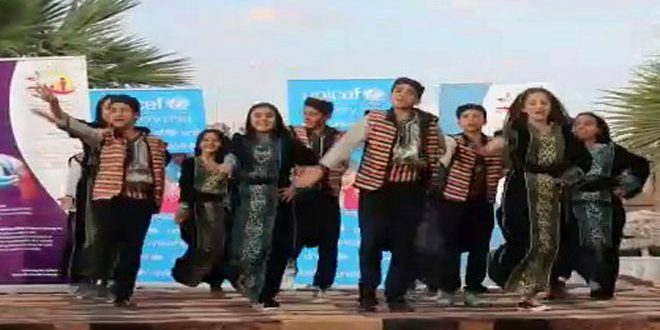 Action Project is a development project that has several programs, including ones for vocational training, a volunteer team, youth support, and the happiness program that organizes events on special occasions.